Gen was born in Canada but basically grew up totally in Florida. Her parents or in real estate and Contracting and neither of those appealed to Gen.
At 16 Gen was looking for a job and she started working for Amy the former owner of Botanica Day Spa. She did errands and anything that was needed. But during this period of time she got her license at 18 years old and at 22 years old the spa became available for sale. She was able to purchase a spot this time and has owned and operated it ever since. 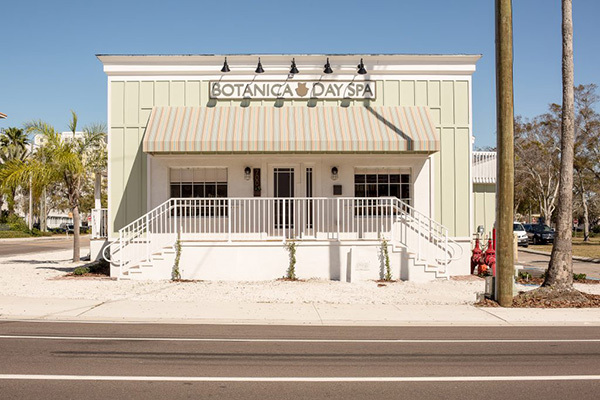 It's interesting to note that Botanica Day Spa is the first Spa opened in Clearwater. So in the meantime she went to trade schools and got her license at Loraine's Academy in St Petersburg. Gen works with the world literacy Crusade and with the winter wonderland in Clearwater as part of her charity outreach. As Botanica Day Spa is very busy, it's probably a good idea to get your appointment in advance. Call 727-441-1711 or go to 700 Court Street Clearwater, Florida 33756. There are so many things that are offered by Botanica Day Spa that you may have trouble deciding what you want done. So your preference might be massage, facials, eyelashes, manicures and pedicures, hair removal, private parties, bridal showers, or any of their spa packages. You're definitely going to get treated right and especially treated to your specific needs and wants. I think that Gen's goal of helping people look good, feel good and create Wellness are in line with what people say about her business. And that would be what people note in their blog articles. " The people who work there are so nice and they really care ". I think you owe it to yourself to check it out. You'll be happy you did.